D’Arrigo California and our employees consistently support philanthropic organizations to give back to our community. Since 1999, Andy Boy has been a proud partner and sponsor of the Breast Cancer Research Foundation and has contributed over $1.85 million to finding a cure. We have a partnership with Rancho Cielo Youth Campus to provide a safe environment to deliver programs and services for at-risk youth to learn new skills to become responsible citizens. We support our local YMCA to encourage Christian principles through programs that build a healthy spirit, mind and body for all. We strongly support our local schools, community college, select universities, and Boys and Girls Clubs of Monterey County. These organizations inspire our youth to reach their full potential to become responsible, healthy, productive and successful citizens. 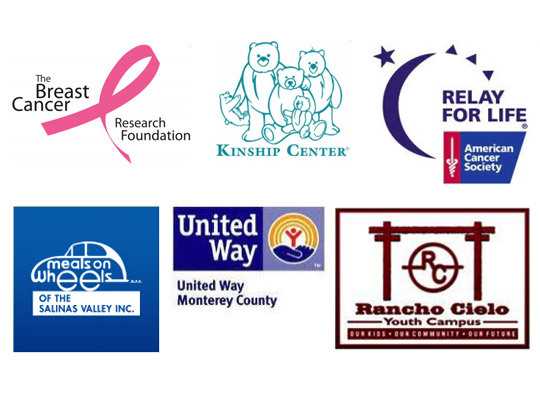 The company and our employees consistently support the United Way of Monterey County and the American Cancer Society’s Relay for Life. Monterey County Ag Education is another organization we support. It is dedicated to fostering respect and appreciation for agriculture through education. D’Arrigo California provides financial assistance to Ag Against Hunger whose mission is to alleviate hunger by creating a connection between the agricultural community and food assistance programs. We enthusiastically fund and serve Kinship Center which is committed to creating and supporting permanent families for children through adoption or other guardianship programs. We passionately fund Natividad Medical Center in their mission to provide health care access to all patients regardless of their ability to pay. In January of 2010, John D’Arrigo, a third generation member, and President of D’Arrigo California, created The Agricultural Leadership Council (TALC) for the Natividad Medical Foundation. He brought farm families together to help farm workers. The mission of TALC is to improve the health status of farm workers and their families by providing medical equipment, diagnostic tools and services. Since its inception, TALC has donated over $2.3 million towards “Changing lives and saving lives”. D’Arrigo California and our employees consistently support philanthropic organizations to give back to our community.Since 1999, Andy Boy has been a proud partner and sponsor of the Breast Cancer Research Foundation and has contributed over $1.85 million to finding a cure.We have a partnership with Rancho Cielo Youth Campus to provide a safe environment to deliver programs and services for at-risk youth to learn new skills to become responsible citizens.We support our local YMCA to encourage Christian principles through programs that build a healthy spirit, mind and body for all.We strongly support our local schools, community college, select universities, and Boys and Girls Clubs of Monterey County. These organizations inspire our youth to reach their full potential to become responsible, healthy, productive and successful citizens.The company and our employees consistently support the United Way of Monterey County and the American Cancer Society’s Relay for Life.Monterey County Ag Education is another organization we support. It is dedicated to fostering respect and appreciation for agriculture through education.D’Arrigo California provides financial assistance to Ag Against Hunger whose mission is to alleviate hunger by creating a connection between the agricultural community and food assistance programs.We enthusiastically fund and serve Kinship Center which is committed to creating and supporting permanent families for children through adoption or other guardianship programs.We passionately fund Natividad Medical Center in their mission to provide health care access to all patients regardless of their ability to pay. In January of 2010, John D’Arrigo, a third generation member, and President of D’Arrigo California, created The Agricultural Leadership Council (TALC) for the Natividad Medical Foundation. He brought farm families together to help farm workers.The mission of TALC is to improve the health status of farm workers and their families by providing medical equipment, diagnostic tools and services. Since its inception, TALC has donated over $2.3 million towards “Changing lives and saving lives”.